Here we go. It seems like 10 years ago cars like this were winning every major show and bringing the top money at every big sale. Then it sort of cooled off. We’re glad to see something this exotic back on the big auction stage. 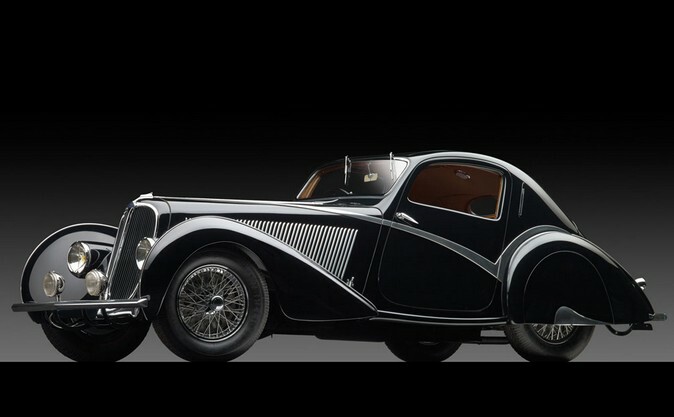 Talbot-Lago introduced the T150 in 1937. They produced a competition model, which appended a “C” to the T150 model designation. Some of these were competition cars sold to the public which were bodied by coachbuilders as road cars (see photo above). The “SS” signifies a short-wheelbase car, which was even more desirable. This car is powered by a 140 horsepower, 4.0-liter straight-six. 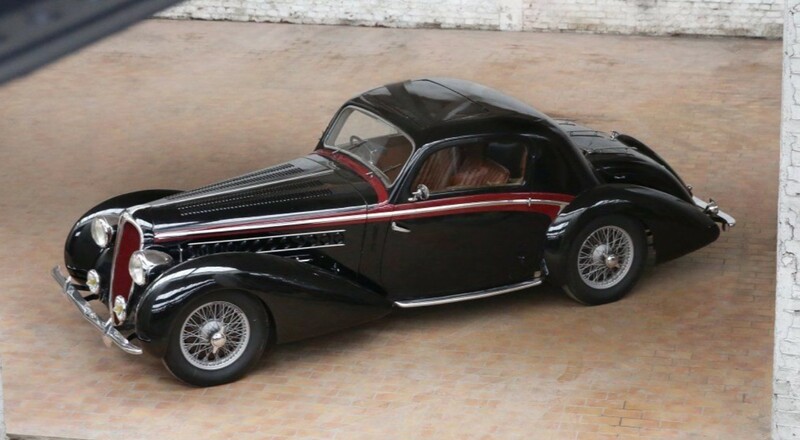 This is one of two “Goutte d’Eau” coupes bodied by the legendary Figoni et Falaschi. What that means is it’s a Teardrop Coupe and the front fenders are enclosed. Those wheel covers make the entire car look extremely aerodynamic. The design is one of the best of the era and this car would be a centerpiece to any collection. Hidden during WWII, it was re-bodied as a convertible in Switzerland in the late 1940s. The current owner acquired the car in 1987 and in 2000 had it brought back to original specification. The result is fantastic. It should bring between $3,500,000-$4,150,000. Click here for more info and here for more from this sale. This sale is packed with amazing cars and I don’t have time to feature them all (why does Retromobile have to be so close to the Arizona auctions!?). I’m stacking today’s post with four beautiful Delage automobiles, starting with my favorite of the bunch. The Delage D6 was in production (in several different iterations) from 1930 through 1954 (with a break for the war). The D6-70 was built for 1937 and 1938 only. It uses a 2.8-liter straight-six making 78 horsepower. The body is the remarkable Coach Panoramique style by LeTourneur & Marchand. This is a very desirable, very usable car and it is expected to sell for between $135,000-$200,000. Click here for more info and here for more from Artcurial. Here’s another D6-70 that was built toward the end of 1936 and first registered in August of 1936. It uses the standard 2.8-liter straight-six making 78 horsepower. This was the top-of-the-line six-cylinder Delage you could buy – although any car bodied by Figoni et Falaschi could be considered pretty top-of-the-line. The “Cabriolet Mylord” bodystyle is pretty and very regal-looking. The top can either be all the way down, all the way up, or sort of halfway in between where only the back seats are covered and it creates sort of a parachute effect. At any rate, this is a beautiful car that should bring between $250,000-$325,000. Click here for more info and here for more from this sale. 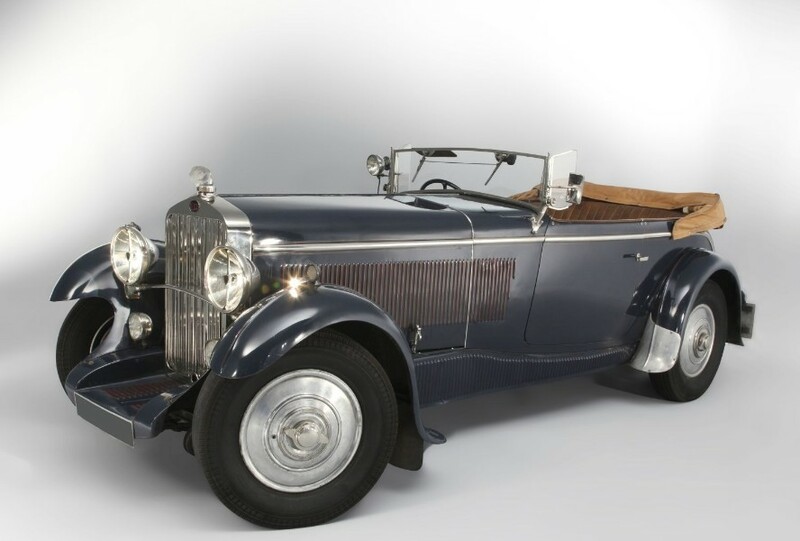 The Delage D8 was the biggest car Delage built. It also had the biggest engine. The D8 S had an even bigger engine than the standard D8. Only 145 examples of the D8 S were constructed. It uses a 4.0-liter (or 4.1… it was 4,061cc) straight-eight making 120 horsepower. This car is original and preserved. 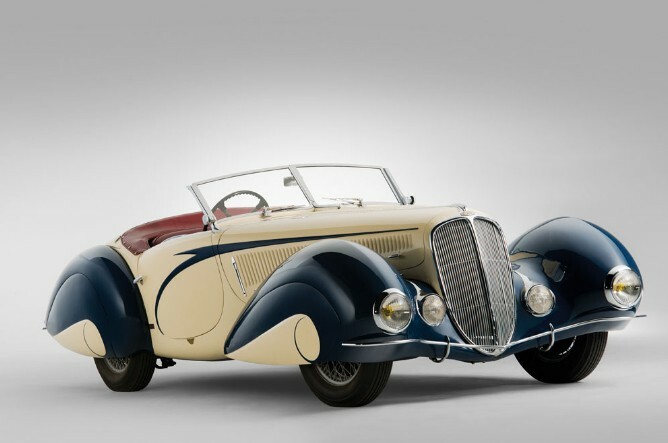 The Cabriolet bodystyle is by legendary French coachbuilder Marcel Pourtout. One design aspect I really like are the 1920s/1930s-style body-colored Rudge wheels. This is one of stars of the show and a really beautiful automobile that evokes the period brilliantly. It should sell for between $1,360,000-$1,630,000. Click here for more info and here for more from this sale. The Delage D8 was introduced in 1929 and this 1931 model uses the 4.1-liter straight-eight, in this case making 102 horsepower. The body is by Henri Chapron and I would describe it as “restrained elegance.” It’s not flashy – but it is also earlier than the other three cars in this post. Dramatic design really flared up the farther they got into the 1930s. This car was restored in the 1960s and has been maintained since. 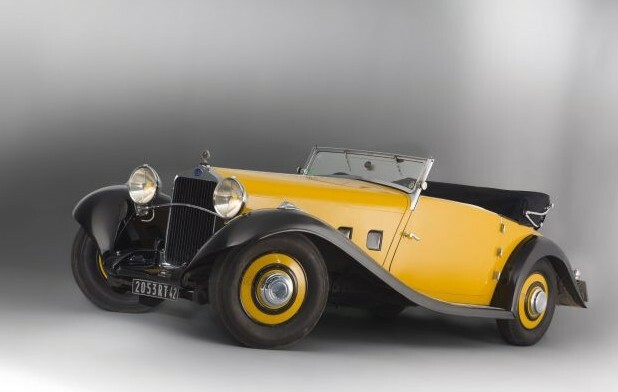 It would be a relatively inexpensive way to get behind the wheel of a Delage D8 – it’s expected to sell for between $550,000-$675,000. Click here for more info and here for more from Artcurial. 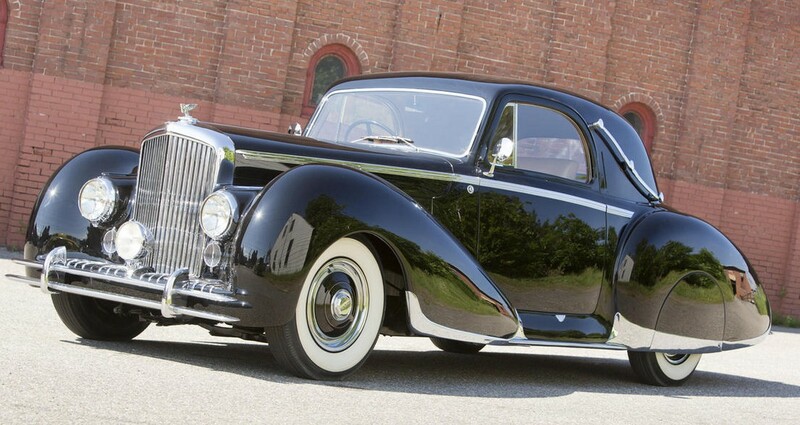 There’s nothing too remarkable about the Bentley Mark VI. It’s not a car that stands out to me as brilliant or beautiful or anything special other than it being an old, post-war luxury sedan. That is, until you have one of the most prestigious coachbuilders in history slap one of their windswept bodies onto it. The Mark VI was introduced in 1946 and lasted through 1952. This car uses the 4.25-liter straight-six making about 132 (or “adequate”) horsepower. In total, 5,208 were built in various bodystyles. This car was built for a Parisian who used it to commute to Monaco. It was originally dark gray and it came to America in 1964 – where it has been since. It was restored in 1990 – and painted red – when it showed up and won Best in Class at Pebble Beach. In 2012 it was repainted black – which is a much better color than red for this car. 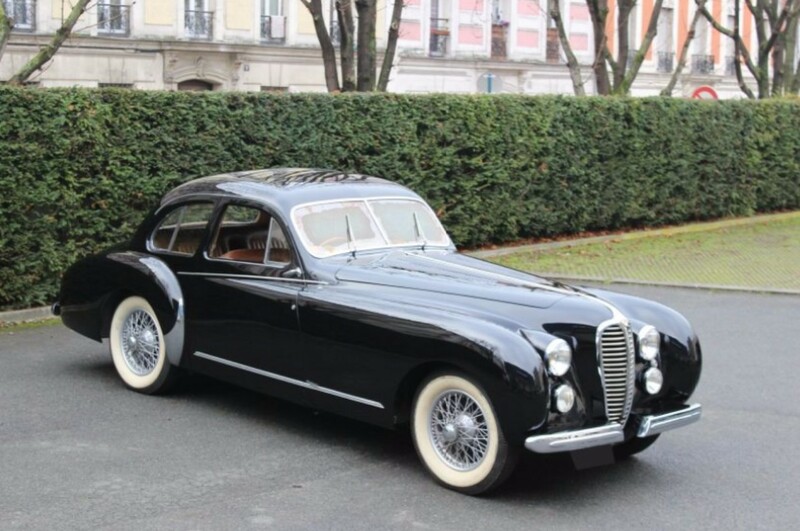 According to Bonhams (and Joseph Figoni’s son Claude), this is the only “true” (not sure what that means) post-war Bentley bodied by Figoni et Falaschi. It’s certainly striking and it’s certainly the only one like it in the world. It should sell for between $500,000-$650,000. Click here for more info and here for the rest of Bonhams’ auction lineup. This car is gorgeous. 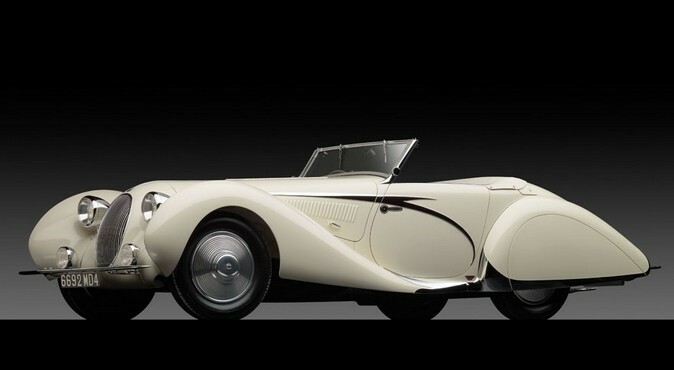 Elegant, French, swoopy lines wrapped around what was then a sporty chassis and engine combination. 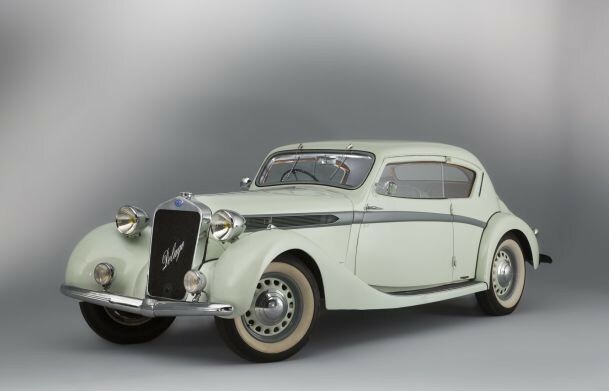 This car was the 1936 equivalent of – there is no modern equivalent to compare it to. Today’s car companies don’t wrap art around their race cars. It’s all about function. Style like this is, unfortunately, a thing of the past. 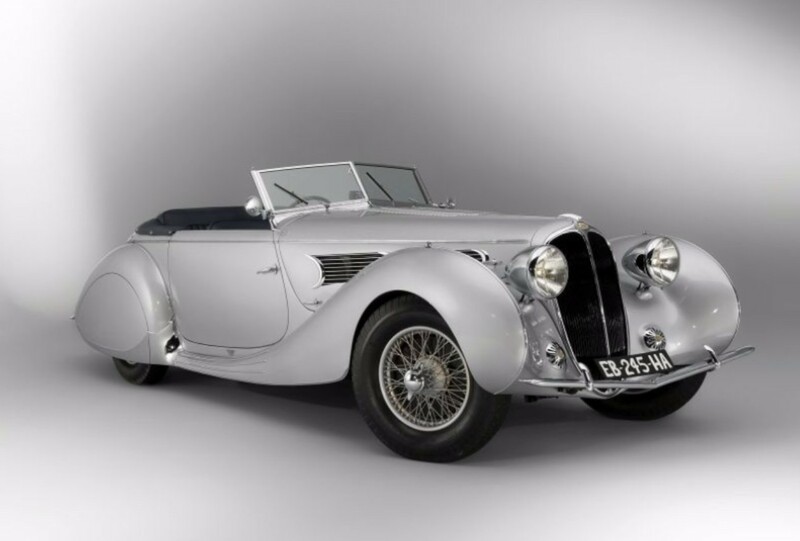 The Type 135 was introduced by Delahaye in 1935. There were other models in the line including the 135M and 135MS. This is the base model, which used a 3.2-liter straight-six making up to 110 horsepower. The Type 135 stayed in production until 1940 and did not go back into production after the war like the other two models. 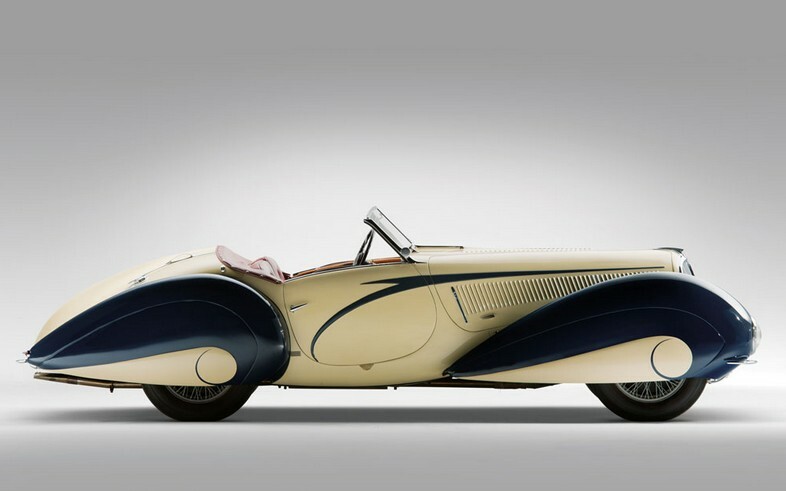 This Competition model (which features bits and pieces from Delahayes race cars, like a shorter chassis and a very rare four-speed manual transmission) was bodied by Figoni & Falaschi by special order. It was the last of six Type 135 Coupes built by the coachbuilder and it is different from the other five: the headlights, for example, are fared into the fenders. 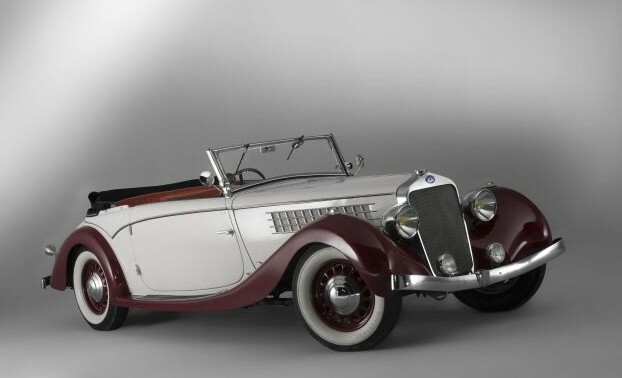 This car was also a Delahaye factory demonstrator before being hidden during WWII. 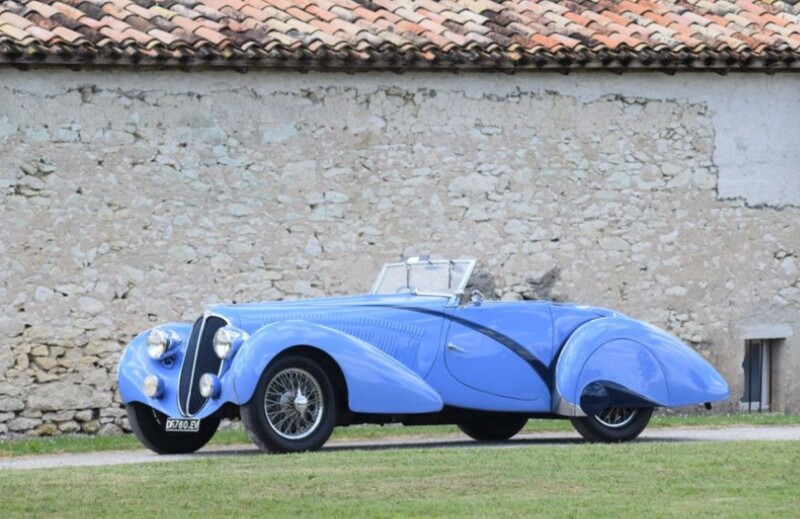 Ownership history is known from the early-1950s (it was likely owned by Delahaye up to that point). It sat parked in Italy for 40 years until being uncovered in the late-90s and restored by its new American owner. It has been displayed here and there, winning awards wherever it goes. 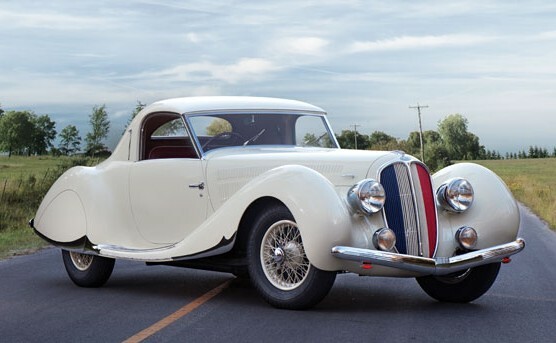 Coachbuilt French Teardrops have been popular for a long time and because they are art-in-motion (just like Joseph Figoni intended) they will likely remain so. This is one of three short-chassis Figoni coupes that still survives. It is estimated to bring between $3,000,000-$4,000,000. Click here for more info and here for more from RM in New York. 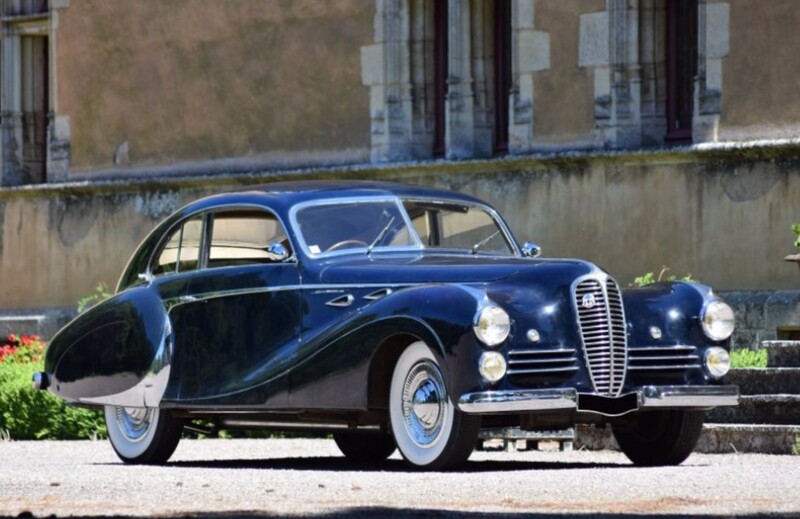 Talbot-Lago is one of those French marques that is widely associated with swoopy Art Deco coachwork from some of the most renown French coachbuilders of the pre-war era. The T-150C was introduced by Talbot-Lago in 1937. It had a competition chassis and the “SS” refers to it having a short wheelbase. The engine is a 4.0-liter straight-six putting out 140 horsepower. Many of the cars were bodied by Figoni & Falaschi and the Teardrop bodystyle is their signature look. This Teardrop also happens to be a cabriolet. This is said to be the only short-wheelbase example with its original chassis, engine, and body. Only 11 T-150C SS models were built and only two received Figoni Teardrop Cabriolet bodies (they did a third cabriolet on the longer wheelbase). This, the first one one has an interesting history: it was acquired by a merchant in Lille in 1941. He later moved to Paris and became a double agent under the Germans and had to flee to Brazil toward the end of the War. It was confiscated and sold and by the mid-1950s, it found its way to Chicago. The current owner acquired it in 2008 and commissioned a stunning restoration that will easily win the car awards. These are truly amazing cars with flowing lines and a downright beautiful design. This is what RM is talking about when they call a sale “The Art of the Automobile.” It is art in motion. It will bring millions (between $8,000,000-$10,000,000). Click here for more info and here for more from RM. Guess what my favorite feature of this car is. It isn’t the beautiful Figoni & Falaschi-styled body. It’s that French flag on the grille. How cool. I almost didn’t feature this car, but that colorful grille alone sold me on it – that and I’ve yet to feature a Delahaye 135 MS – however I have done a 135 M.
So what’s the difference? More horsepower, of course. While the M lumbered around with up to 115 horsepower, the 3.6-liter straight six in the MS offered 160 horsepower. 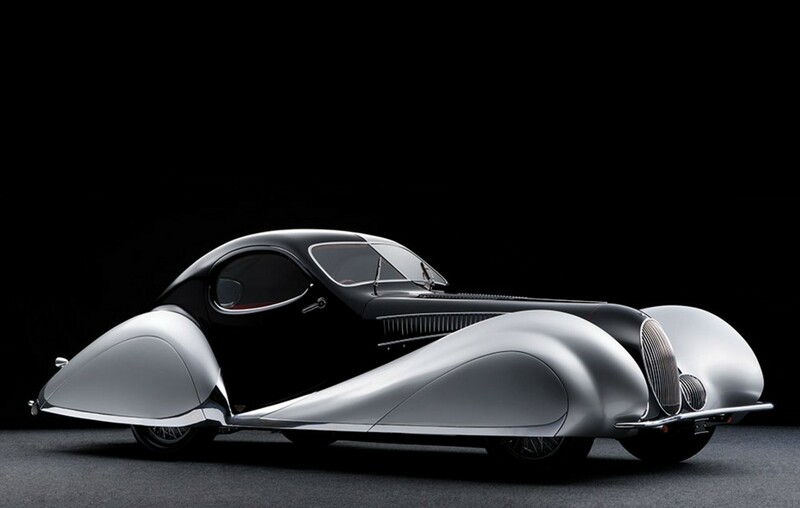 The “Teardrop” bodystyle is the most famous style from French coachbuilders Figoni & Falaschi. It’s also the one that it usually shown as the “typical” French coachbuilt body of the period. It is certainly nice. This car was on the Figoni et Falaschi stand at the 1938 Paris Salon and disappeared shortly thereafter, being rediscovered in 1964. It was restored in the late 1980s and was acquired by John O’Quinn in 2006, who had it restored again. It is being offered with an invitation to the 2013 Amelia Island Concours d’Elegance, which it could win. It should sell for between $1,000,000-$1,400,000. Click here for more info and here for the rest of RM’s Arizona lineup.